A new date for the public hearing for Cedars of Lebanon State Park has been set. The meeting originally scheduled for February had to be postponed because of the snow and ice. Mark your calendars for: Thursday, April 23rd at 5:00 PM. Leaders from the Tennessee Department of Environment and Conservation will be conducting a public hearing at Cedars of Lebanon State Park on Thursday, April 23th to gather input and discuss the current business and management plan for the park. The event will begin at 5:00 PM with an open house and reception to meet park staff. The public hearing portion will begin at 6:00 PM and will last approximately one hour. 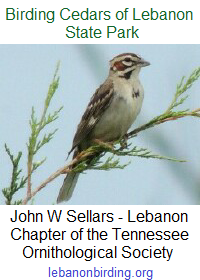 This entry was posted in Announcement and tagged Cedars of Lebanon State Park, tennessee, Tennessee State Parks, wilson county. Bookmark the permalink.